Energies, harmonics, motor and transformer values, power sums, power rations, and processes can be displayed at any time. 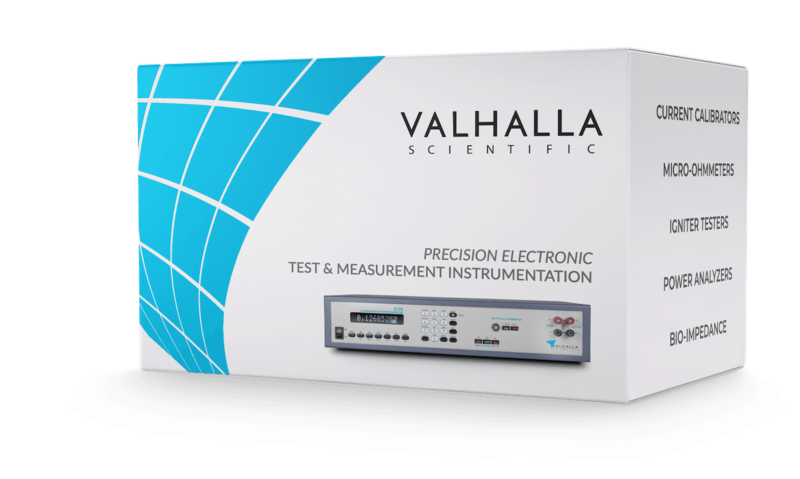 The Valhalla Scientific 2800 High-Precision Power Analyzer is available in 1-, 2-, 3-, 4-, 5-, or 6-phase versions. All voltage inputs 0.3V up to 1500V peak and all current inputs 1.5mA up to 1A; 15mA up to 5A; 1A up to 40A; and shunt inputs 60mV up to 6V are potentially free and exhibit low noise, high common mode suppression, excellent DC-stability, wide frequency range (DC-2MHz) and very low self-heating on current inputs. There is no need to fiddle with DC-compensation, or changing current plugging. All is built into the input sections of the power analyzer, ready for measurements. 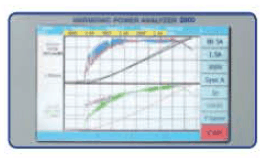 It is simple to use, your intuition will guide you to operate the Power Analyzer touch screen correctly. Almost all settings changes are accomplished with two touches of the display screen or two clicks with the wireless mouse. 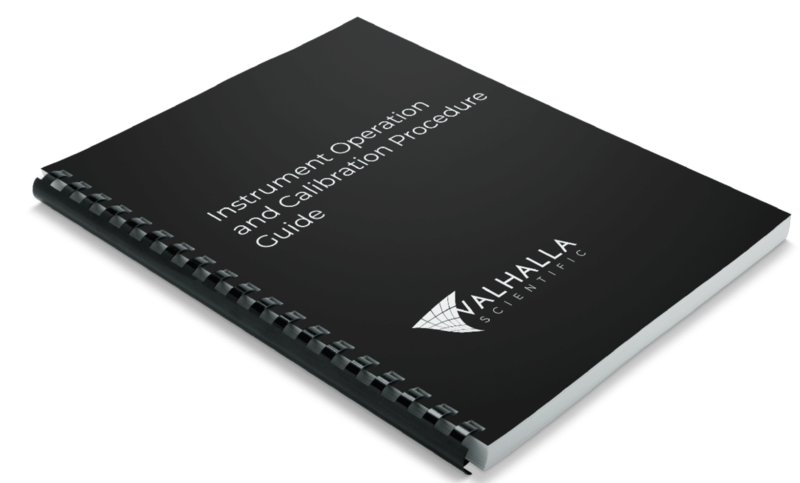 In the Standard Measure Mode 280 quantities per phase are measured without gaps and are continuously updated. Values can be displayed on four display pages, can be saved in internal memory, or can be transferred via the interface to a computer. The display shows voltage, current, and power waveforms. 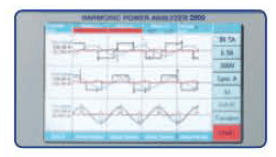 Harmonics and bar graphs can be viewed on 5 pages. Two electric motors can be tested simultaneously. External Speed and torque inputs are optionally available. Transformer values are implemented too. This measurement mode is suitable for very fast measurements or for long time averaging of data. It is possible obtaining 6 datasets of a 6-phase instrument within 20ms or 6 datasets per 10 minutes. From every phase you obtain 8 values: frequency, rms current, rms voltage, power, power factor, apparent power, energy Wh, and apparent energy VAh. You can catch current-, voltage-, and power waveforms in a start-up on transient mode up to 6 phases simultaneously or you can view all the waveforms at a critical operating point. Sections of the waveforms can be expanded by simply touching one of the 4 “Zoom Sectors”. This measurement mode analyzes the performance of devices such as electric cars. In 20ms intervals the following data are stored in internal memory: RMS current, RMS voltage, power, apparent power, energy, apparent energy, and RPM of a shaft. At end of measurement (maximum 11 seconds) data versus time are displayed.